How Did Gold React To The Fed Cutting The Growth Forecast? This week we look back at the performance of gold, silver, platinum, and palladium over the course of Q1 2019. 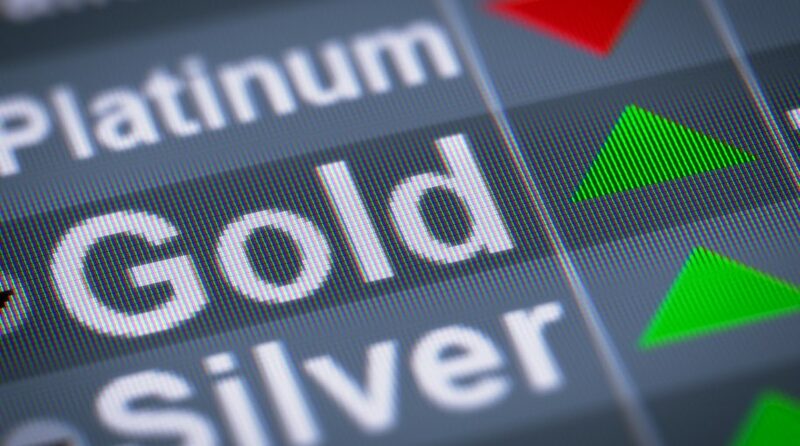 How did the precious metals perform and what is ahead for the rest of 2019 for precious metals investors? Welcome back Golden Rule Radio. We’re going to start this week’s show with the first quarter of this year’s numbers for gold, silver, platinum, palladium. Yeah Robert as we finished up the quarter last week gold finished the quarter up about one point two percent. It went from 12 78 close to a quarter about 12 93 silver on the other hand was down two point three percent started the quarter at 1048 announcing finished down to 15 13 and ounce. Platinum was up 6 percent started the quarter at 7 95 and finished out at eight forty eight and palladium was the big winner with an 11 percent rise from 12 27 all the way up to 13 61 an ounce. But one would also argue palladium was the biggest loser there at the end of the quarter with a big fall which we will get to here in a minute but first I think it’s worth looking at the Dow and the Dow transports because we have had some interesting action especially when it comes to Dow Theory this week so Robert I know you’ve been following this pretty close what do you think. With all the talk about the pending recession that’s coming because of the inversion in the yield curve you wouldn’t know the recession is coming with the stock market because we have a confirmed Dow Theory bull market with the Dow Transportation Average coming to a new high and the Dow Industrial average coming to a new high however should be noted that this is not an all time high is it. We still have a little bit of room to go for the Dow transportation average to get back to about 11 6 which is the previous high and then the Dow industrials would have to get back almost over 27000 26 9 to get to an all time high which would be a bigger confirmation than what we just had. So temporarily it looks like the stock market‘s probably headed a little bit higher. But I think this is going to be a highly speculative move with the stock market so there’s a lot of risk still there but it looks like the stock market wants to head higher. Just be cautious. I’m glad you bring up Dow Theory I was reading Pamela and Mary Ann Aiden’s report this past week and they like to look at the longer term moving averages. They pointed out that the transports which we have been discussing has and I would argue continues to lag behind the industrials but the transports have actually pushed above that 200 day moving average. So they had been bouncing below it. The Dow had been bouncing above it. But they’re both above their longer term averages right now which is part of that confirmation you’re talking about. So moving over to the metals following our quarterly update on some price action obviously gold continues to climb for this year but has been stalled out. You know we keep coming back to this high 12 low 30s number hitting it earlier this year not just in January but also March and here we are again. You know each time we’ve come back here we’re a little bit higher than the previous time we’re still sitting above it. So I will remain bullish on gold until we push at least below the beginning of March lows at about 12 85 and then certainly below the January lows around 12 75. So there is some good support levels here we’re still at around the 3 8 2 febe there’s a 50 percent line the 6 8 to just below it. And any of those numbers remains bullish obviously appear at the 382 is arguably our best position. I’m not entirely set that we’re going to see another massive push up before we get into our sell in May and go away season that Robert talked about last week but until we see a little bit more action on the precious metals markets or continuation of dollar policy I see us hard stuck here until some other event pushes us a different direction. You mentioned bullish. I think you’re talking about short term bullish because I think long term bullish you are long term bullish gold. Yeah absolutely. I’m talking about the week to week maybe a week or two weeks. Yeah I get that. So short term bullish. Yes. I I’m going to stay bullish on gold even when gold possibly pulls back into the mid 12 hundreds around 12 50 12 60 if we get that pullback. Eric mentioned you know the first quarter numbers took gold in the 12 70s up to the 12 90s. That’s not a big move. But what’s significant is we’ve been holding in that to above that twelve eighty five eighty range. And this pullback we’ve stopped right at that level so even if we break this level I think in this kind of coming into the seasonally weak time for gold may and June I think we’re going to still see it holding in this to all 50 to 60 range and get a stable-ish with it. And again anything above that twelve forty six one a fair but long term like you like you were separating out the long term bull stays in effect. But lo and behold given the way short term speculation works recording on Wednesday posting this on Thursday it’s likely we may come into the office tomorrow. Gold is down at twelve seventy five. So if you’re listening to this and tell we drop below that level again an expectation.